Tax season is a stressful time. 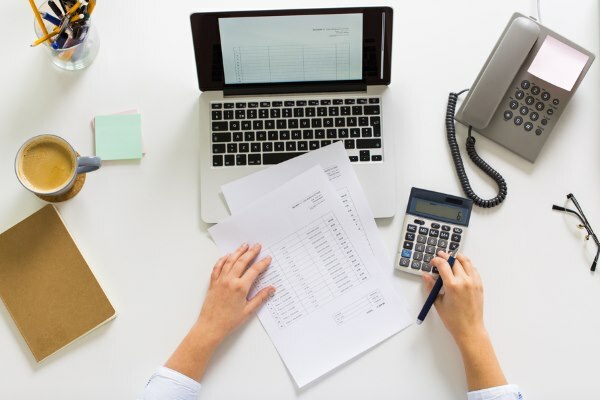 But as a self-employed individual, real estate agents can take advantage of tax write-offs for business expenses, helping to reduce the total taxable income. Here are a few to consider when you’re heading into tax season. Between driving clients to viewings, heading to open houses, and prospecting in new neighbourhoods, real estate agents can rack up plenty of kilometres. Luckily, driving costs can be deducted and this not only includes the cost of gas but also maintenance and repairs. Do note that there are two methods for calculating transportation deductions. In the “detailed” method, you track all car expenses while in the “simplified” method, a rate per kilometre driven is applied. For either method, you should still retain receipts in case of an audit. An accountant can help you determine which method is most beneficial for your business and car usage. Many real estate agents and self-employed individuals work out of their homes. If you have transformed a den or bedroom into an office space, you are able to claim an appropriate proportion of expenses like rent or property taxes and utility bills (water, heat, internet). The proportion is typically calculated as the square footage of the office space divided by the property’s total square footage. Office expenses include items like laptops, cellphones, stationery and paper. If you rent office space or pay desk fees it would also fall under this category. Taking a client, or potential client, out for a coffee or a meal can be considered a business expense. The act of establishing rapport and securing current, or future, business is valuable. 50 percent of these dining and entertainment expenses are tax deductible. Again, be sure to keep receipts and make a note on the reverse which client you were meeting with in case of an audit.